You know the sad part on this ? For us in Qubec with Videotron, the only WP8 that would work with this provider is the Lumia 810. Since 2010, I was a big Android fan, starting with the Nexus One. With WP8, I decided to give it a try...and I'm proud of it ! WP8 is absolutly awesome, no lag, the tile interface is a real "innovation" from Microsoft (finally ;) ). There is no other phone for us on this frequency (AWS 1700). It's bad that, as a customer who paid a lot every month (yeah, in Canada, it's a lot) we can't chose which phone we want to use. It's the providers who has the power. Now you've discovered a catch-22. See, the interop unlock exploit for Nokia devices worked by taking advantage of nokia's network setup app... so you have to have the network setup app on your phone for the interop unlock to work. Hehehe. Then again, WP8 runs on an entirely different kernel than WP7 so that may not even work anymore. Have you checked HTC 8x, that would also work on your network, but as far as apn settings, I don't know. Videotron still has the "faux 4G", on the UMTS spectrum, T-Mobile has upgraded their network to the E-UTRA (LTE). Found out a way to change on the Lumia 810, thanks to Nokia. 1. Press the Search hardware button on your Nokia Lumia Windows Phone 8 Device and tap on Vision. 2. Hold the camera viewfinder up to the screen to focus on the QR codes provided below. 3. 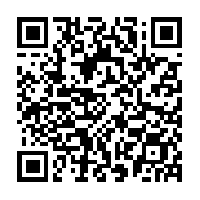 If successful, a small thumbnail of the QR code along with a description of a web link will appear on screen. 4. Tap the web link and it will take you to the Store to update the Nokia app. After installing you'll have a menu in Settings called "Access Point" which will allow you to change the APN to match your carrier. I'm now running the 810 on WIND Mobile no problems! pankaj981, wbkang, markdotinc and 5 others like this. Worked with my Italian sim, thanks so much!! Last edited by jqwest; 01-03-2013 at 02:52 AM. I just switched my Solavei sim to a Nokia Lumia 810, did a restore from my back up and it is performing excellent! one glitch..fails on MMS messages and, of course there is no "Access Point" under Settings, so I'm trying to find a way to get into the APN Settings!! FYI. The Access Point fix was broken somewhere in the 8.1 DP cycle. Now it simply refuses to open. three (UK) MMS APN settings? Hey! Square Enix! Over here! Over here!